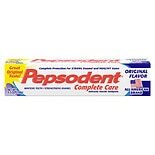 Shop Pepsodent Complete Care Toothpaste (5.5 oz. )5.5 oz. $100$1 and 00 cents$0.18 / oz.